However, the wording could be even more fitting with a country flavor. After all, the boots are used as stockings filled with stocking stuffers and gift bags resting under the tree. A charming idea and very eco-friendly, no need to recycle any paper or bows, simply wear your boots out! 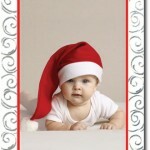 The price for a quantity of $100 Cards with Verse & Name Personalized is $159.80 available on our Online Site only. This price reflects a promotion of 15% Off and FREE Envelope Printing of Your Return Address. 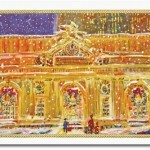 The price goes down if you order a quantity of 500 or more cards. We can also print your Address List using our Digital Calligraphy Service, simply, check out our Calligraphy Page for Font Styles. Happy Holidays!